When I saw these enchiladas on Holly's blog, Phe/MOM/enon, I knew I had to try them. The flavor combination of honey and lime just sounded so good. Plus Holly assured me that these would rock.my.world. How could I not try them? :) A word of warning, though - if you don't like sweet flavors in your savory dishes, I would pass on this... sometimes when a recipe has the word "honey" in its title, it has a subtle hint of sweetness to it. Not these enchiladas! The honey flavor is quite prominent. I enjoy all things sweet, however, and loved these! They're a nice change from your typical enchiladas. I especially love that they are easy and quick to make. The enchilada sauce is actually a rich, creamy sauce. I used the original quantity of heavy cream recommended in the recipe (one cup) but found it a little too rich. Next time, I will do what Holly did and only add one half cup. I served these with Brianna's chipotle tomato rice. You can serve these with Spanish rice instead, but I found the smoky, spicy flavors of the chipotle rice to complement the sweet and creamy flavors of the enchiladas quite well. This is the perfect meal to throw together on a weeknight, especially if you use a precooked, store bought rotisserie chicken. I will definitely be making both of these recipes again. You need to try them - you won't be disappointed! * To poach your chicken, put the chicken breast halves in a large saucepan and add lightly salted water to cover. Bring to a boil over high heat, reduce the heat to low and simmer for 30 minutes. The longer you do this, the more tender the chicken will be. You can do this with frozen chicken breasts, too. Mix the honey (tip: spray your measuring spoon with cooking spray before measuring out the honey), lime juice, chili powder and garlic together and toss with the shredded chicken. Let it marinate for at least 1/2 hour (or toss together in a ziploc bag and let it sit in the fridge for a few hours). Pour about 1/2 cup enchilada sauce on the bottom of a 9X13 baking pan. Fill flour tortillas with chicken (approx. 1/4 cup) and shredded cheese, saving about 1 cup of cheese to sprinkle on top of enchiladas. Mix the remaining enchilada sauce with the cream and leftover marinade. Pour sauce on top of the enchiladas and sprinkle with cheese. Bake at 350 degrees for 30 minutes until brown and crispy on top. Prepare the rice by combining 2/3 cup uncooked rice with 2 cups of water in a rice cooker or in a sauce pan. When done, set aside. In a frying pan, heat the canola oil over medium high heat. Cook the onion until translucent, about 4 minutes. Add the garlic and cook 1 minute more. Add the canned tomatoes with liquid, reduce heat, and simmer until some of the liquid has evaporated, about 8 minutes. Add the cooked rice, and stir until combined and heated through. Season to taste with salt & pepper and serve. Garnish with some fresh chopped cilantro if you have some. Oh, boy do those look and sound awesome! I think my boys would love the sweetness in them... my husband, not so much. I might have to make them anyway just to taste them. Your pictures are making me hungry and it's breakfast time right now! That dinner looks amazing. I LOVE the rice! YYUMMMM! The enchiladas look great, but the rice is what's really calling my name. Delicious! This looks great! I am always looking for new enchilada recipes. 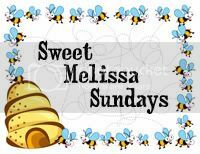 I am not too wild about sweet stuff though, so I will take your warning on the honey...maybe I will try something different in there instead! That sounds yummy! I am bookmarking this!! I'm leaving a comment here so you'll see it-but those cookies with snickers! Oh heaven help me! I have never had enchiladas, Jaime! These are scrumptious! And anything with rice has my undivided attention - mine and any Brazilian's! These look great! I would prob. add some kind of vegetable or bean inside these enchiladas. Can't wait to try them! Both the rice and the enchiladas look fantastic. This looks like a really fantastic meal. Love the contrast between the tomato rice and the rice enchiladas. And I'm intrigued by the honey-lime combo! I so love your rice recipe..looks good. Ya you have to tease me about my recipe mess up..I had to laugh at myself!! Oh my... while I was reading this recipe I was drooling like a cow! It looks so delicious... can't wait to try it!!! Yum! My brother and I were just reminiscing about the Spanish Rice my mom used to make...it wasn't very authentic but your photos bring to mind! Look at that cheese crust! And oh how much I love tomato rice! I made enchiladas for the first time last week, my family liked them, but i think they'd like this better, I'm bookmarking to make! thanks! I came back to get the up side down cake recipe and found TONS of recipes I've bookmarked! The first one on the list...Applesauce Spice Bars!!! Your right the toffee in the puc looks great!! Yummy!! My husband would love these!! Yours look great! I think if you do cut back on the cream next time the extra heat from the enchilada sauce will help balance out the honey too. Now I'm going to end up having to make these again too since I'm all out - I actually made some 'mini' pans and froze them. I'm so glad you liked them!! sounds amazing, I'll be adding this to the menu next week. Love anything with chipotle chilies!! I'm glad you enjoyed the rice! :) Now I gotta try those enchiladas! wow! Using honey in enchiladas sounds so interesting. I am going to have to try these. The enchiladas and the rice look like a great meal. I'm totally loving this! These flavor combos of sweet and heat look great! I am so loving these enchiladas! OMG. They look AMAZING, Jaime. Please save me some. Wow, what a dish! Your enchiladas look superb! I made these for my husband and I last night, and they rocked! Thank you for posting them! Made this for my friend and he loved it. thank you so much for the recipe. I used a free range chicken to make it taste ever better.